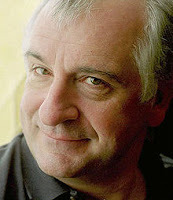 Nigel G. Mitchell - Author, Blogger, Geek: What Three Writers Most Influenced You? What Three Writers Most Influenced You? 1. Douglas Adams - As I said before, Hitchhiker's Guide to the Galaxy is one of my all time favorite novels. But I read almost every book he ever wrote. Not only was he funny, but he also tackled real science such as quantum physics with ease. His fusion of comedy and science fiction seemed so much fun that it made me think about writing. His novels also led directly to my most recent work such as Flying Saucers and Toons. 2. Michael Crichton - Much like Adams, Crichton changed my perception of science fiction. 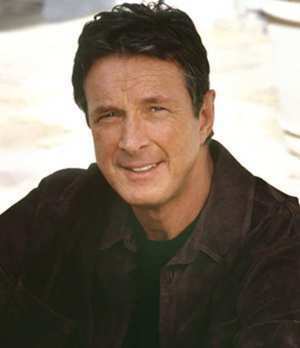 His work is frequently found on mainstream shelves next to romance and straight thrillers. That, I think, is his greatest legacy. He wrote scifi in our contemporary world based on existing technology and science to such an extent that it didn't feel like scifi. Someone who would never touch a Ray Bradbury novel would eagerly grab a copy of Jurassic Park, and that's what made him unique. He's what I aimed for when I wrote Dead Links. 3. 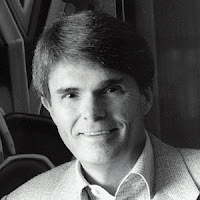 Dean Koontz - Another author who's often not identified as science fiction, Koontz often gets lumped together with Stephen King. However, his early work mixed horror with science fiction such as genetic engineering in Watchers and even nanotechnology in Midnight. His later work drifted into the paranormal, but I liked how he could creep you out without resorting to ghosts and goblins. I wrote some horror/scifi novels, but don't know if I'll publish them. They need a lot of work. How about you? Can you name three authors who influenced your writing or reading habits? Who are they and why? Let me know in the comments. To hear about my new releases first and get a free short story, sign up for my newsletter.